Having started in animation in the 80s Bradd made the move to science with his studies at The University of Queensland. After completing his PhD Bradd worked as a Post-Doctoral Research Fellow. 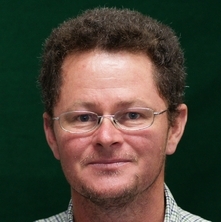 He has been employed as a lecturer at The University of Queensland since 2000. His research interests are in landscape and environmental changes particularly in arid and semi arid regions. Witt, G. Bradd and Beeton, R. S. J. (2010) Conservation and the mulgalands of eastern Australia: An unusual case of regrowth. Australasian Plant Conservation, 19 1: 9-10. Exploring the 'city-bush divide': what do urban people really think of farmers and rural land management? Ross, Helen, Maclean, Kirsten, Cuthill, Michael, Witt, Bradd and King, Christine (2008). Resilience in north Queensland catchments. In: A Future of Extremes: 11th International Riversymposium 2008. Abstracts. 11th International Riversymposium 2008, South Bank, QLD, Australia, (27-27). 1-4 September, 2008. Witt, G.B. and Page, M. J. (2000). Is Rangeland Research Driven by Discipline? An Analysis of the Rangeland Journal 1976 -1999. In: Proceedings of the Australian Rangeland Society Centenary Symposium. The Australian Rangeland Society Centenary Symposium, Broken Hill, (45-48). 21 - 24 August, 2000. Witt, G.B., Berghammer, L. J., Bland, S., Beeton, R. J. S. and Moll, E. J. (1999). Ecological history from faecal deposits beneath shearing sheds: A novel approach for reconstructing vegetation change in Australian rangelands. In: D. Eldridge and D. Freudenberger, Proceedings of the VIth International Rangeland Congress. People and Rangelands: Building the Future, the VI International Rangeland Congress, Townsville, (243-244). 19 - 23 July, 1999. Witt, G. B. (1999). Historical vegetation change in south west Queensland: Can the past guide vegetation management today. In: Vegetation Management Forum. Vegetation Management Forum, Charleville, Qld., Australia, (). 3 - 4 Aug , 1999. Witt, G.B., Moll, E. J., Beeton, R. J. S. and Hoffman, M. T. (1999). Vegetation change in the eastern Karoo (South Africa) from 1916 to 1992 using carbon isotope analysis of historical wool staples. In: D. Eldridge and D. Freudenberger, Proceedings of the VIth International Rangeland Congress. People and Rangelands: Building the Future, the VI International Rangeland Congress, Townsville, Qld., Aust., (242-243). 19 -23 July, 1999. Witt, G.Bradd (1997). How the west was once: reconstructing historical vegetation change and monitoring the present using carbon isotope techniques PhD Thesis, School of Earth Sciences, The University of Queensland. ENVIRONMENTALISM, SUSTAINABLE DEVELOPMENT AND ORGANISATIONAL CULTURE: TOURISM ACCOMMODATION AND THE DRIVERS OF SUSTAINABLE PRACTICE Tourism, Hospitality and the winds of change: Are we dishing up the carrot, serving up the big stick or just in search of quality?